Below are CodeLyoko.Fr's professional partners! Moonscoop is the group that produced "Code Lyoko" and "Code Lyoko Evolution". In collaboration with fansites since 2004, since the beginning of the series, Moonscoop made the choice to delve deeper into this original form of community management along with the release of its new series Code Lyoko Evolution. Since the end of 2011, Moonscoop has been our main partner in the professional world. 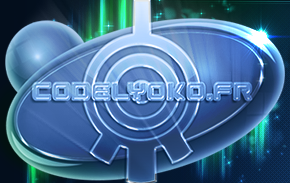 In frequent contact with them, the CodeLyoko.Fr team has been working with them to promote Code Lyoko Evolution and management of the fanbase. The basis for our site's partnership with Moonscoop can be seen on this page. What must be kept in mind is that the web presence of a fansite on a professional level such as CodeLyoko.Fr has allowed Moonscoop to respond to a number of problems and needs. This partnership has been designed and crafted to last as long as Code Lyoko Evolution. The focus group is a major event during which people from a wide age group watch an episode of a series at an advanced screening to give their opinion. If the audience of the focus group has been mainly chosen from young children and Moonscoop employees for younger age groups, a member of the CodeLyoko.Fr team was invited to this event to support the point of view of the "old" fans. A lovely sign of confidence on Moonscoop's part towards the site's team and a smart way to involve the community in the development of the new series. Primary channel for airing Code Lyoko Evolution in France, the young people's service from France 4 regularly calls upon us to relay the events taking place around CodeLyoko.Fr. They also rely on us to maintain community coherence. Ideas for joint activities between CodeLyoko.Fr and France 4 are being developed! Zoom in on: CodeLyoko.Fr and live events on France 4! Following all live events by France 4, CodeLyoko.Fr serves as the primary relay. We favour the promotion of events to a larger public than the one available through France 4's platforms, as our site has been the central organ of the community for years. We also provide event replays, reporting and other information for those who could not attend, allowing a stronger turnout of fans of the series and real community involvement. The production company charged with directing the live action scenes for Code Lyoko Evolution. They tested our professionalism during our visit to the film set and different ulterior contacts. A golden opportunity to go behind the scenes of the series, our visit to the set has allowed us to make a real bridge between one side of the professional world and its requirements, and the other side of the community awaiting the new series. Remarked for its professionalism during the visit to the film set, CodeLyoko.Fr was solicited by Norimage for the development of a page on our site, dedicated to the production company. Aided by competitive ranking of the site, Norimage's page on CodeLyoko.Fr comes out second in the Google search for the term "Norimage". Unable to attend the major promotional event that was the advance screening in Paris on the 5th of December, Norimage asked CodeLyoko.Fr to help create this page...so that all the people who visit our site from now on can see the page about the advance screening. This page offers a presentation of Norimage with a more community-centric and human point of view of the enterprise. An excellent advertisement for the spirit of Norimage, in addition to their professional website! 3DDuo is a leading video game development company for professionals in search of tools, whether they be promotional, educational, federal or other... 3DDuo developed the Code Lyoko social game, requested by Moonscoop. CodeLyoko.Fr was immediately involved in this ambitious project. Since then, our contacts with 3DDuo have remained active, especially after the opening of a section of our site specially dedicated to the social game. 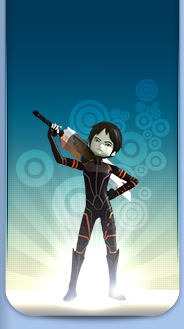 Launched in the conception of the Code Lyoko Social Game by Moonscoop for the development of the new series, 3DDuo was able to adapt and quickly provide a high quality game. Connoisseurs of the show's universe, dynamic and reactive, our team proposed to Moonscoop that we serve as beta testers for the original version of the game. Thus the team actively participated in different tests to help 3DDuo refine its game before the launch.